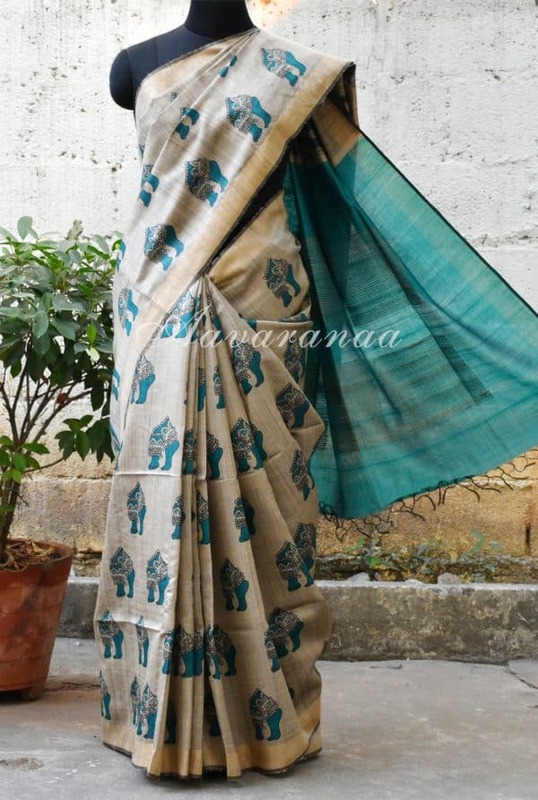 Beige tussar with kalamkari insired motifs and woven border. 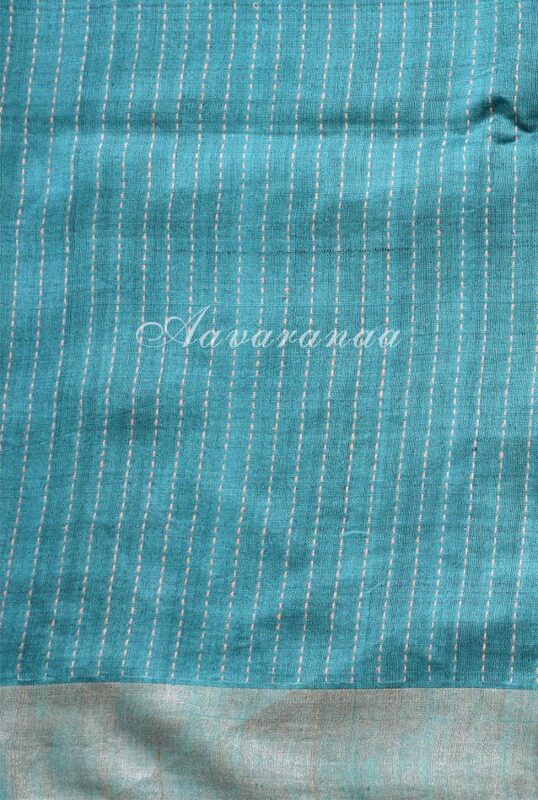 The pallu is teal blue with woven in geometrical pattern. Blouse: Teal blue with self woven stripesand border.